Welcome to the website of the Western Agricultural Processors Association (WAPA). WAPA was formed in 2009 to answer the industry's call for representation and expertise in critical compliance areas, such as air pollution, food safety and safety services, a new agricultural organization has been formed. This organization shares staff and office with the California Cotton Ginners and Growers Associations. WAPA represents the tree nut industry including almond hullers and processors, pistachio, pecan and walnut processors, on regulatory and legislative issues. In addition, the Association performs critical consultative services for its members on issues such as air pollution permits, lockout/tagout and safety plans, Spill Prevention Control and Countermeasure (SPCC) plans and many other services. This Association is non-profit funded by an annual voluntary dues assessment as determined by the Board of Directors. In addition, WAPA provides consulting services on a contract basis to other agricultural processors including vegetable dehydrators, tomato processing plants, cotton gins and farms in California and Arizona on a contract basis. These consulting services cover safety and environmental issues, including air pollution permitting, SPCC plans and hazardous materials business plans. The purpose of this website is to provide our members with the latest news and information to help our members maintain compliance with rules and regulations and to inform our members of the activities of the Association. 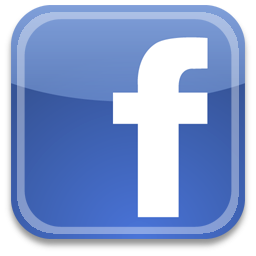 It is meant to be a comprehensive resource of information for our members. 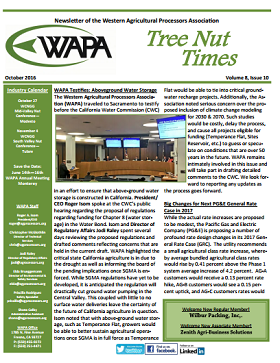 Western Agricultural Processors Association publishes a monthly newsletter known as the Tree Nut Times. The newsletter gives the latest information regarding important regulatory and legislative issues affecting WAPA members. Check out what WAPA is up to each month by subscribing to our newsletter! 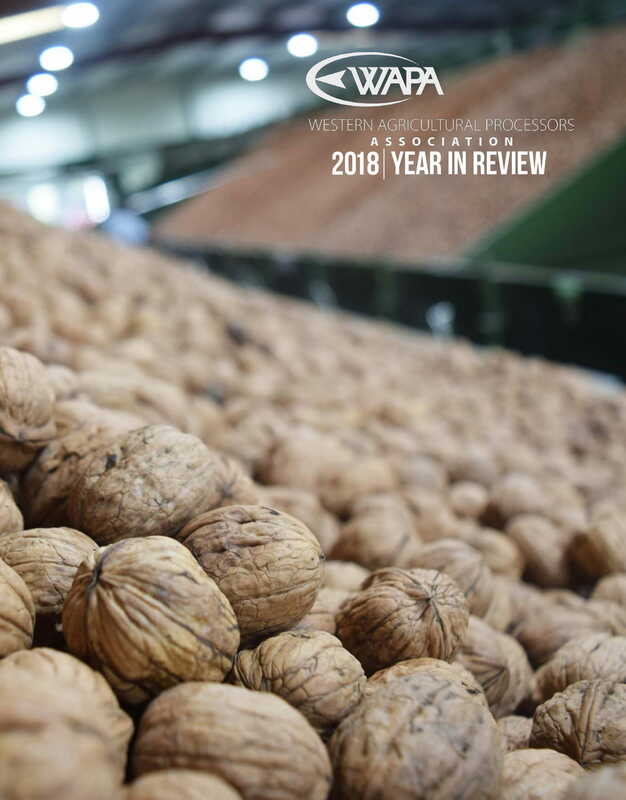 As our members know, the Western Agricultural Processors Association is involved in many regulatory and legislative issues on behalf of the tree nut hulling and processing industry. For a recap on this past year’s activities, please check out our latest "WAPA Year in Review". WAPA's Upcoming Safety and Labor Summits are Just Around the Corner! WAPA Annual Meeting Registrations & Exhibitors Coming In! Have you taken the Produce Safety Rule Training? Upcoming Sexual Harassment Prevention – 1 hour Nonsupervisory Webinar - MARCH 8th! Get Ready for the 2019 WAPA Annual Meeting! Are you Ready for FSMA's Produce Safety Rule? ATTENTION WAPA MEMBERS & ASSOCIATES Less than ONE WEEK left to enter the WAPA Shotgun Raffle! Less than TWO months to enter for your chance to win a new Beretta Shotgun! WAPA PAC Fundraiser - You could win a new BERETTA shotgun! Mid-Valley Nut Conference Nov. 2nd! What’s the Latest on FSMA? Funding for Electric ATVs Now Available! WAPA Gets 3rd Air Curtain Burner Permitted! CARB Wants 12,000 Tractors Replaced in San Joaquin Valley by 2024! WAPA PAC Fundraiser – Beretta 686 Silver Pigeon I up for grabs! Pesticides below Health Screening Levels…Again! WAPA Hotel Deadline, Less than One Month AWAY! FOR IMMEDIATE RELEASE "Not Perfect But It Will Help"
Ag Overtime Legislation is Defeated! Important WAPA Training Wraps Up! Forgot about the Port Issue? Not WAPA! Association President/CEO Isom States: We Need "Real Water"
Paid Sick Leave (AB 1522) Reminder! AECA and WAPA Present: Agriculture Energy Conference! Initial Review of Preventive Controls Regulation – Good News for Nuts! Are you ready for fuel price increases in 2015? … Neither is WAPA!